Why do you do what you do? Why are some people and organizations more innovative, more influential, and more profitable than others? Why do some command greater loyalty from customers and employees alike? Even among the successful, why are so few able to repeat their success over and over? People like Martin Luther King Jr., Steve Jobs, and the Wright Brothers might have little in common, but they all started with "why." It was their natural ability to start with "why" that enabled them to inspire those around them and to achieve remarkable things. In studying the leaders who've had the greatest influence in the world, Simon Sinek discovered that they all think, act, and communicate in the exact same way -- and it's the complete opposite of what everyone else does. 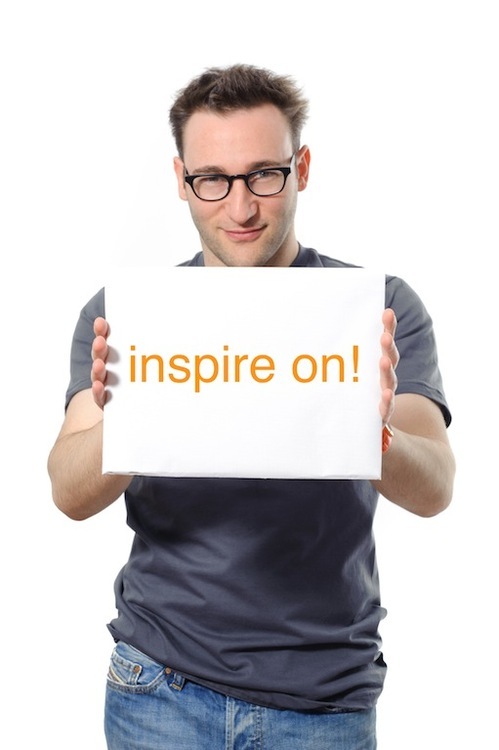 Simon Sinek is an optimist. He believes in a bright future and our ability to build it together. Described as "a visionary thinker with a rare intellect," Sinek teaches leaders and organizations how to inspire people. With a bold goal to help build a world in which the vast majority of people go home everyday feeling fulfilled by their work, Sinek is leading a movement to inspire people to do the things that inspire them. Sinek's unconventional and innovative views on business and leadership have attracted international attention and have earned him invitations to meet with an array of leaders and organizations, including: Microsoft, MARS, SAP, Intel, 3M, the United States Military, members of the United States Congress, multiple government agencies and entrepreneurs. Sinek has also had the honor of presenting his ideas to the Ambassadors of Bahrain and Iraq, at the United Nations and to the senior leadership of the United States Air Force. Sinek is an adjunct staff member of the RAND Corporation, one of the most highly regarded think tanks in the world. He is also active in the arts and not-for-profit world, working with Education for Employment Foundation to help create opportunities for young men and women in the Middle East region. When not in hotels, he lives in New York, where he teaches graduate level strategic communications at Columbia University.